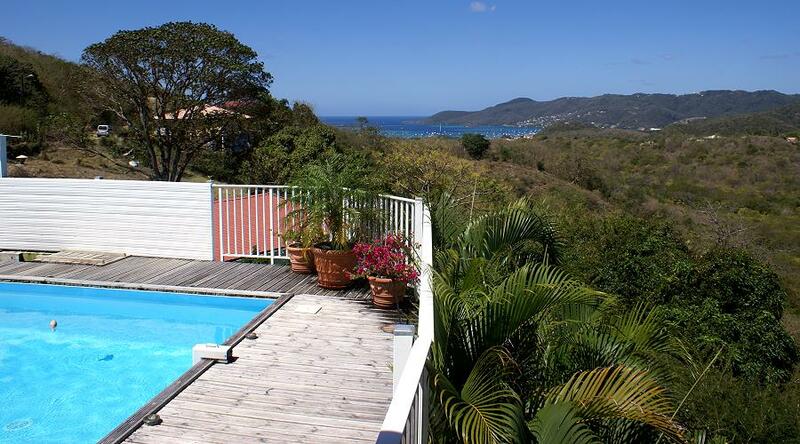 In St Anne, a stunning view of the sun setting over the bay of Le Marin, you will find Villa Champfleury. 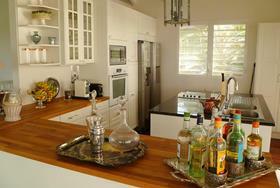 It can accommodate up to 12 people. 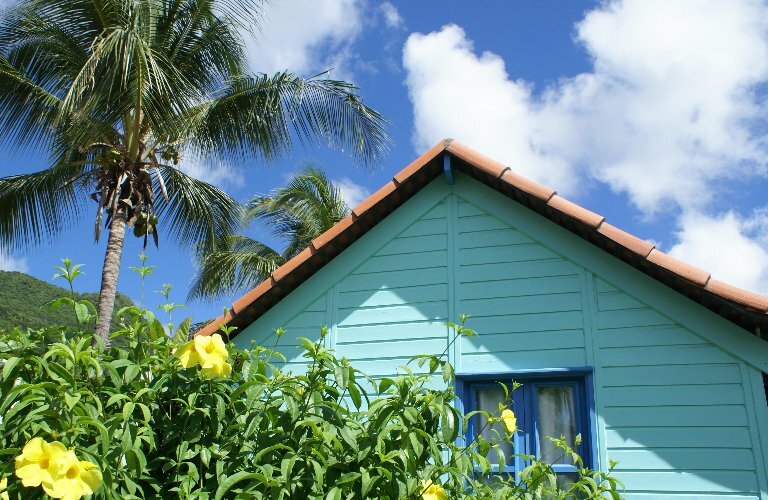 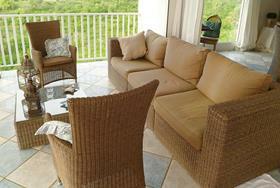 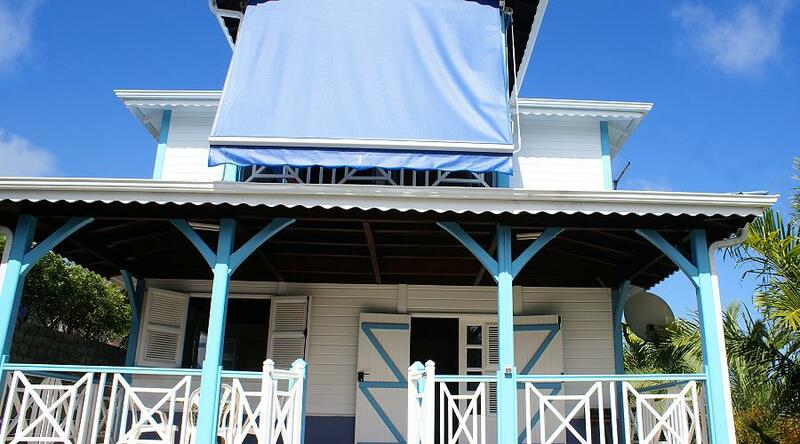 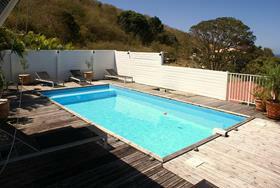 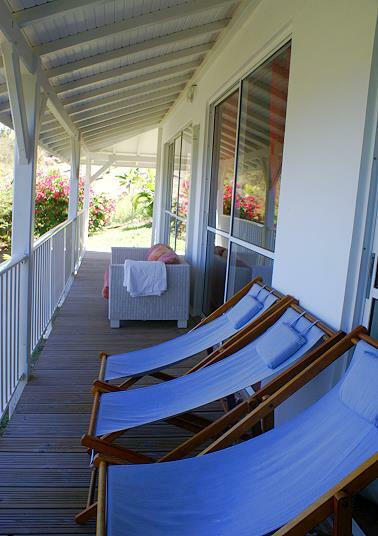 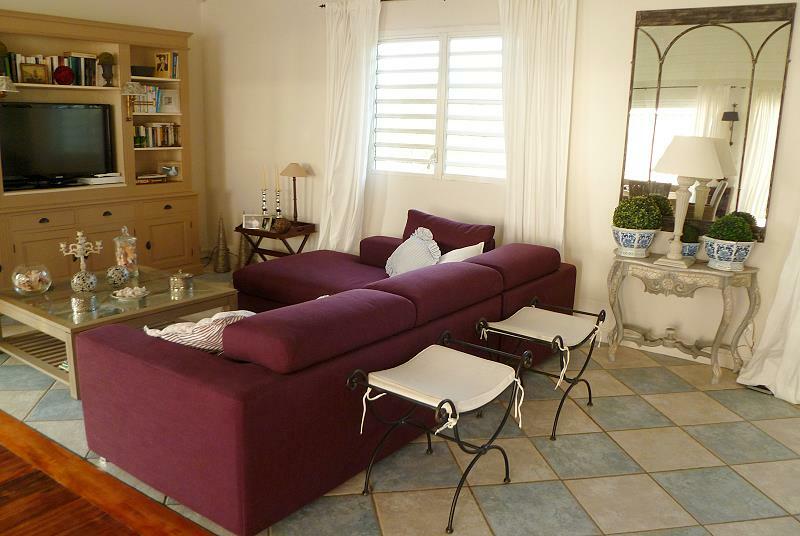 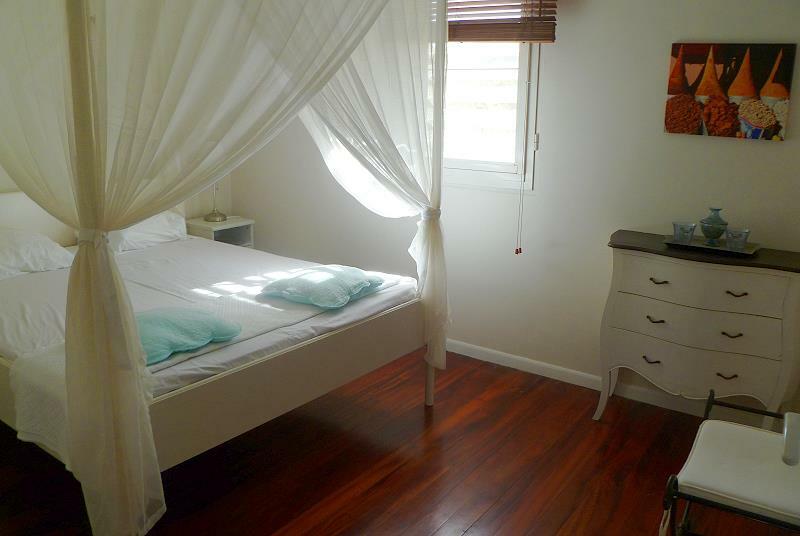 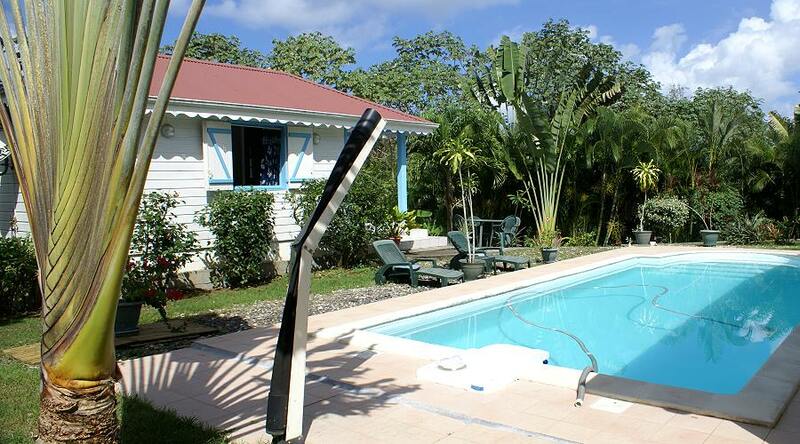 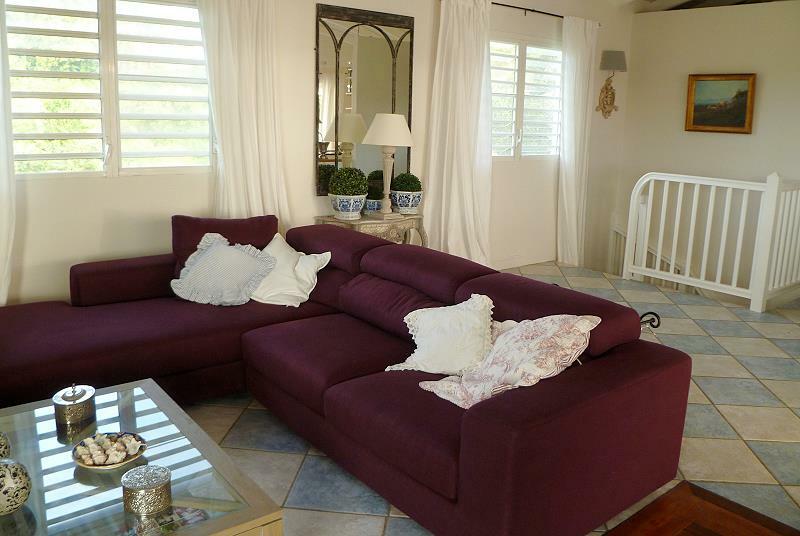 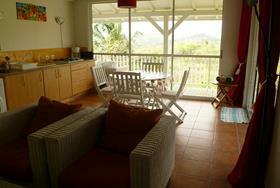 It is situated in a breezy location and just a few minutes away from some of the most beautiful beaches of Martinique. 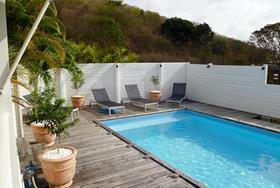 Nestled in-between a tropical garden with pool and kitted out with all comforts. 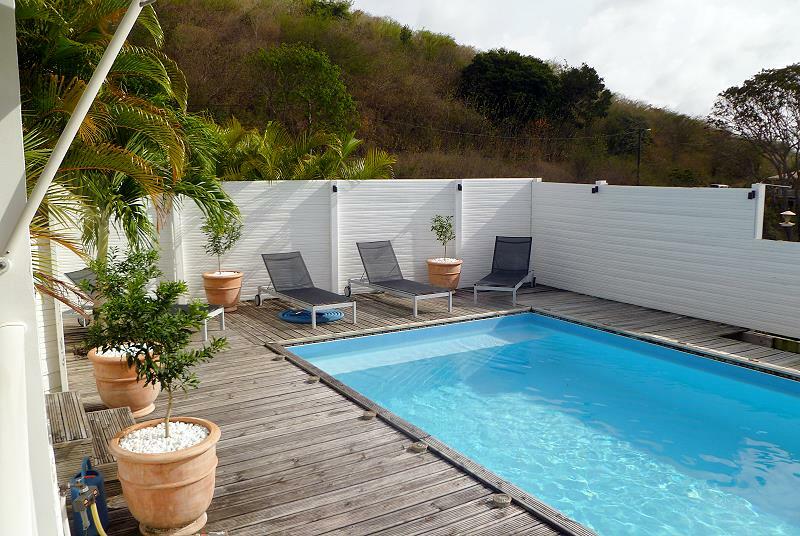 Champfleury Villa is a spacious beautiful deluxe villa with an 185mq swimming pool and a wonderful sunset view over the bay of Le Marin. 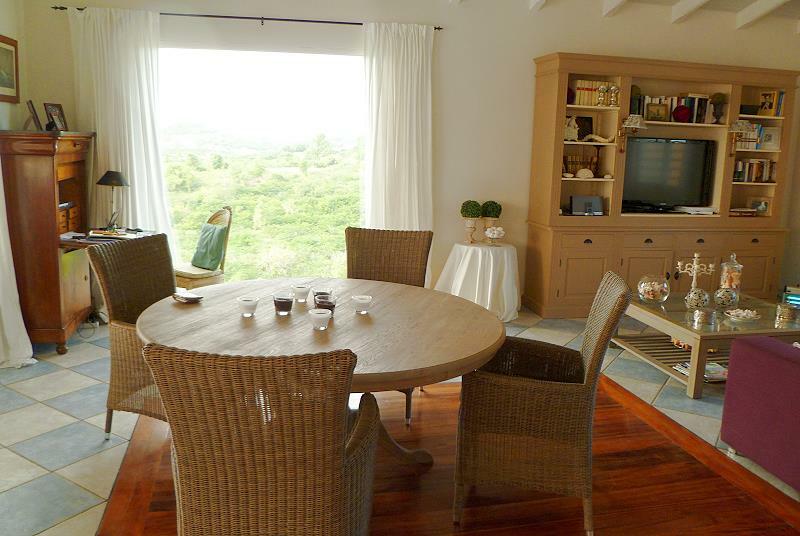 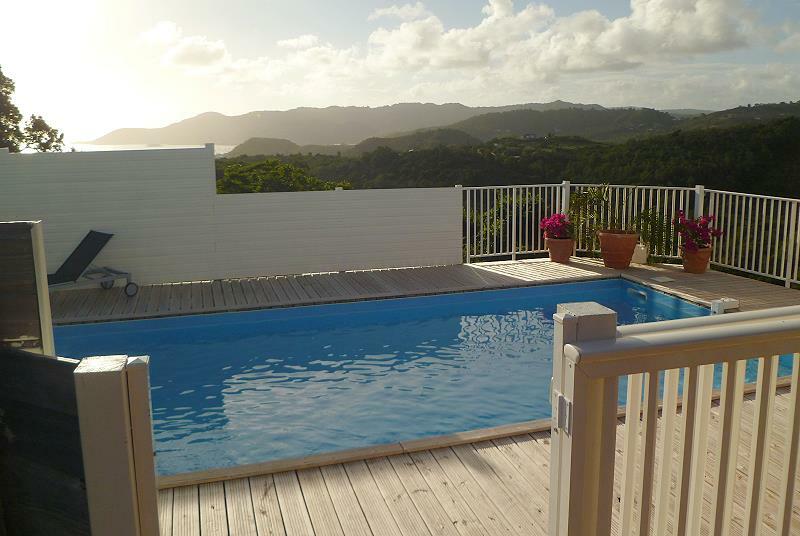 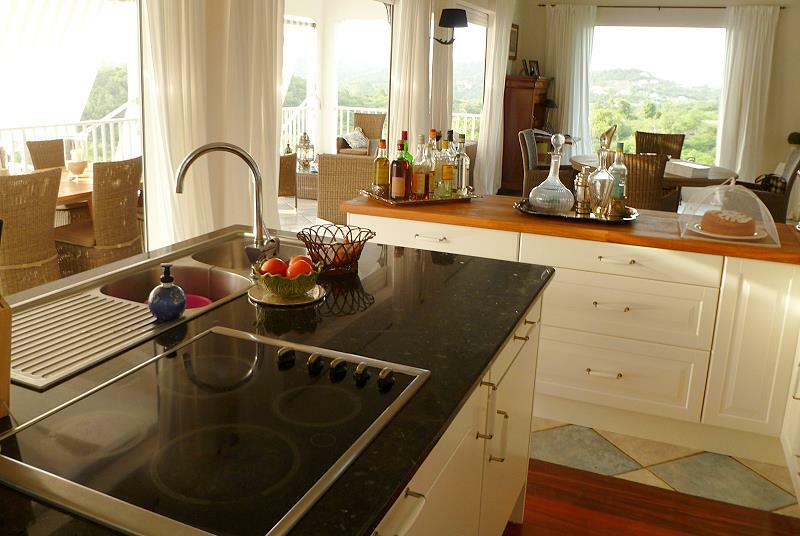 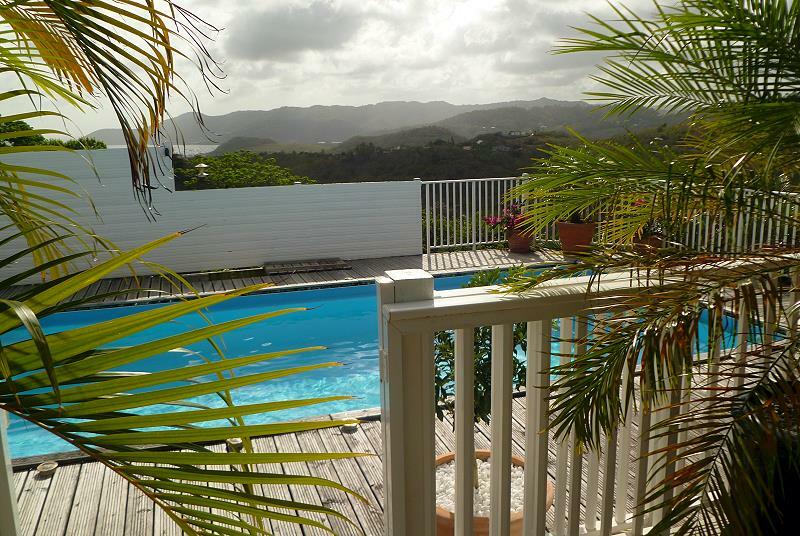 In the hills of St Anne, in the south of Martinique, in a deluxe and breezy location. 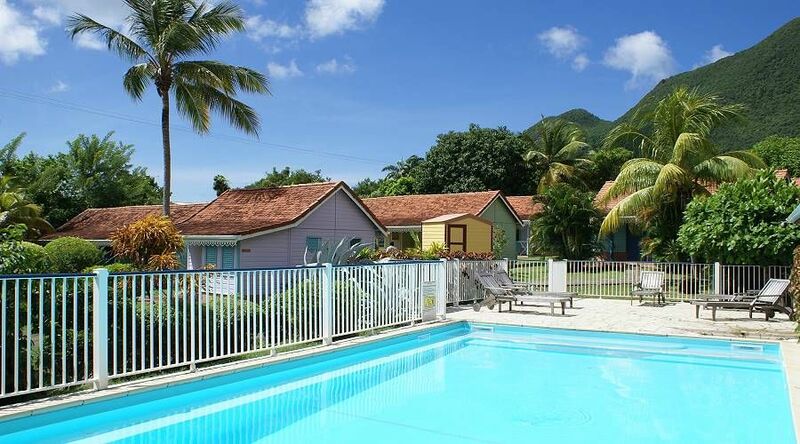 Champfleury Villa has 5 bedrooms and is ideal for a large family or a large group of friends who would like to share their holiday together, in a location which is calm, comfortable and serene, surrounded by tropical nature. 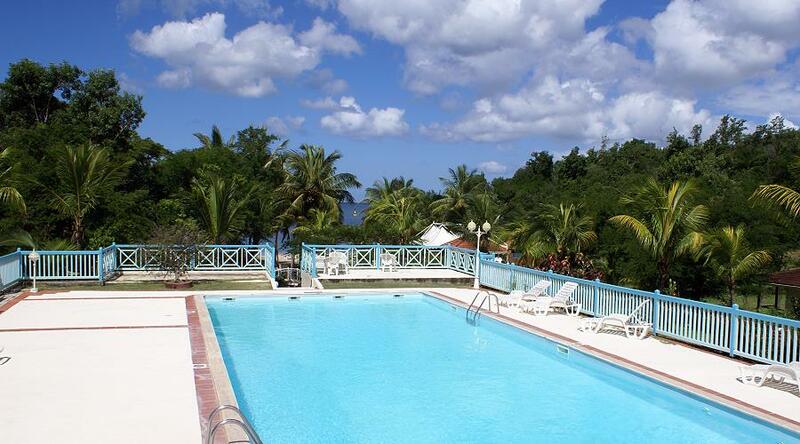 It is near to some of the most beautiful beaches on the island. 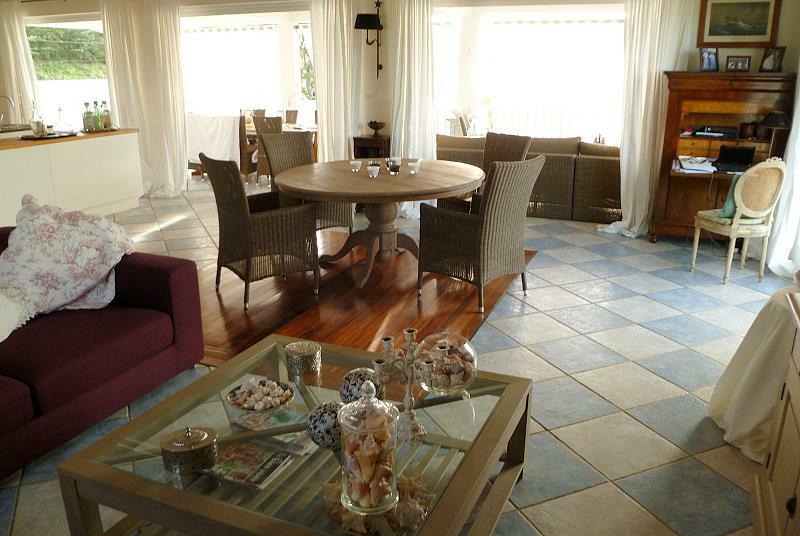 The villa is divided over 2 floors, with a spacious living day area, which looks out onto the veranda. The veranda is kitted out as a 12 person dining area and living space. This area is poolside. 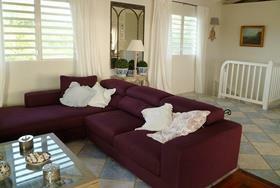 The living area looks out and is divided into a TV zone with a large corner sofa and a dining area with a ceiling fan. The kitchen is well equipped with a centre worktop. 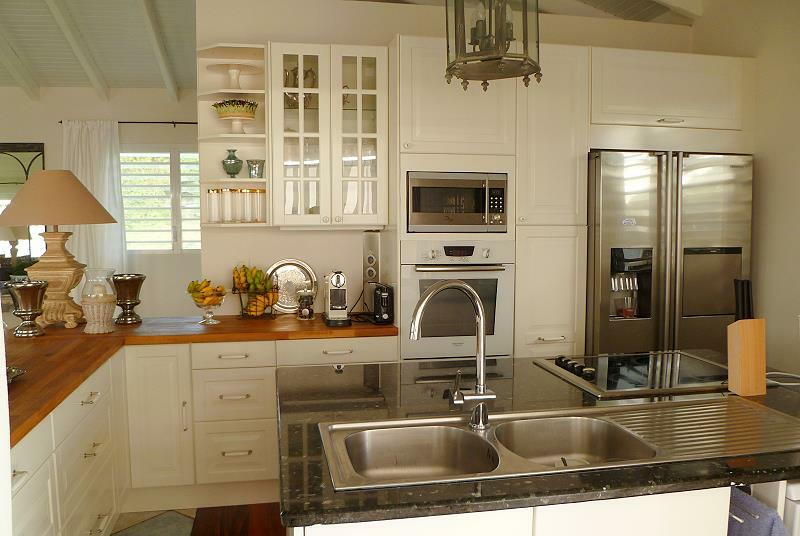 It has a double fridge with an ice dispenser, dishwasher, traditional oven, microwave, mixer, toaster and electric coffee machine. 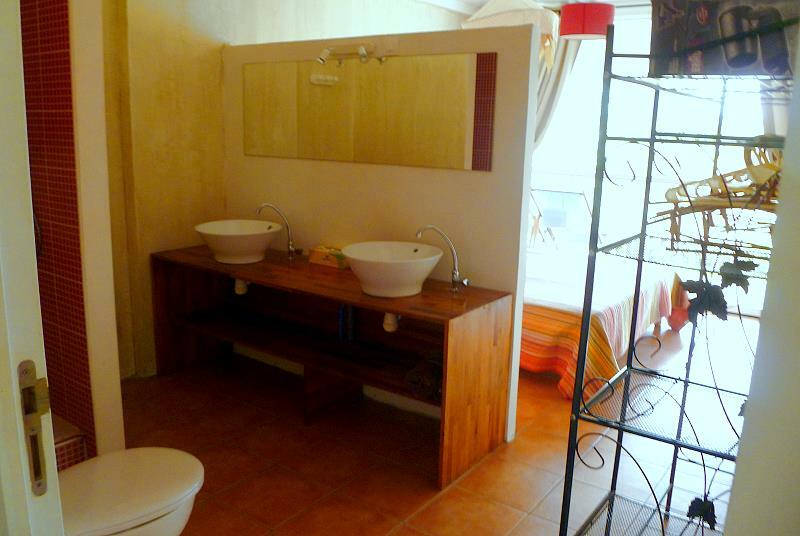 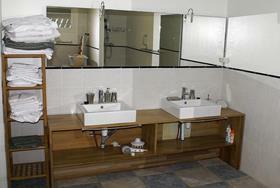 There is also a bathroom with shower. 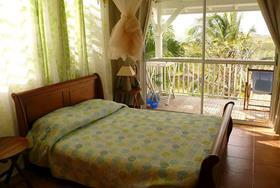 Upstairs there are 3 bedrooms, all air conditioned. One has a canopy bed 160x200, the second has a double bed 160x200 and a single bed. 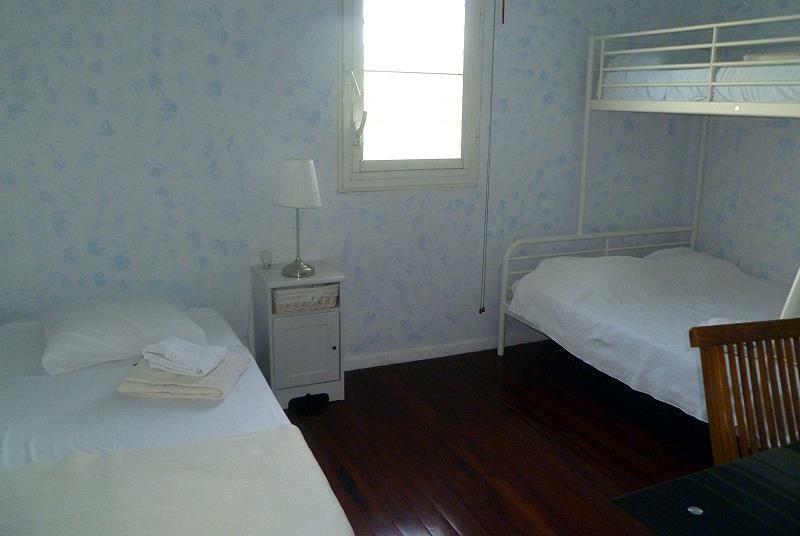 The third has a double bed 140x200 and a large bunk bed. 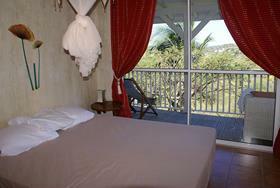 All beds have mosquito nets. 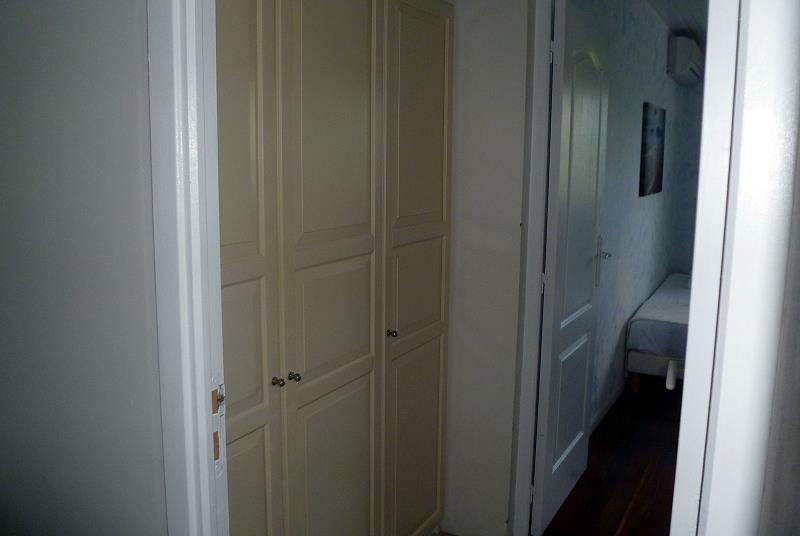 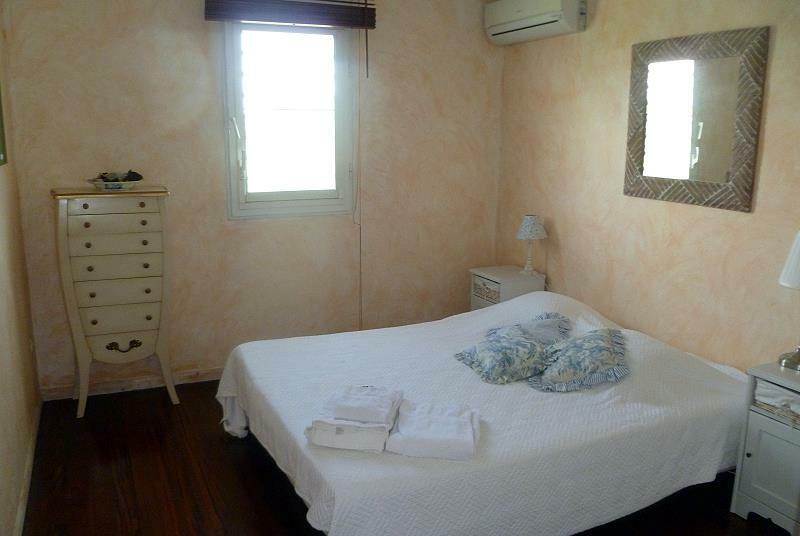 On this floor there is also a large bathroom with a double sink, large shower, washing machine and tumble dryer. 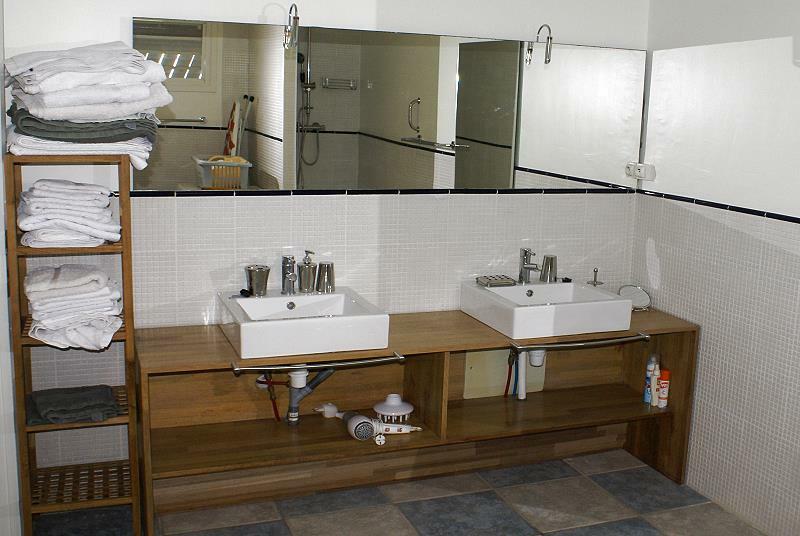 The floor also has a second independent toilet. 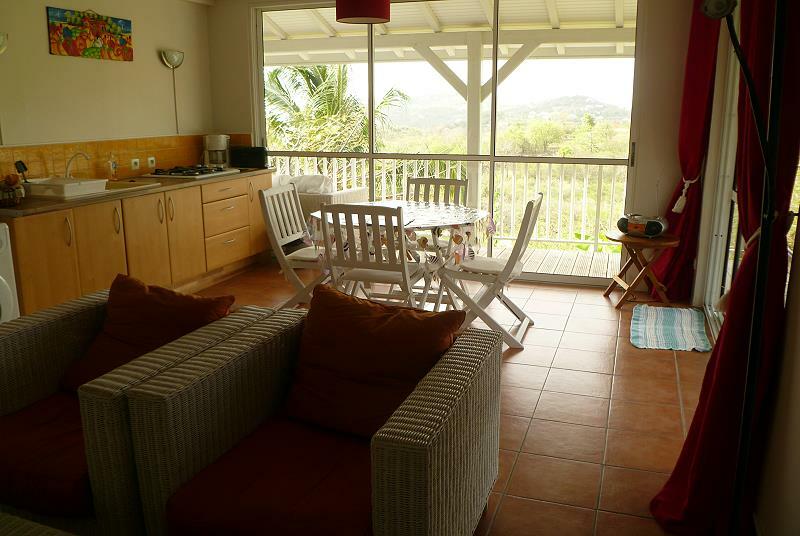 On the lower floor there is an independent apartment with large panoramic windows and a large terrace, with a view looking out to the south of the island. 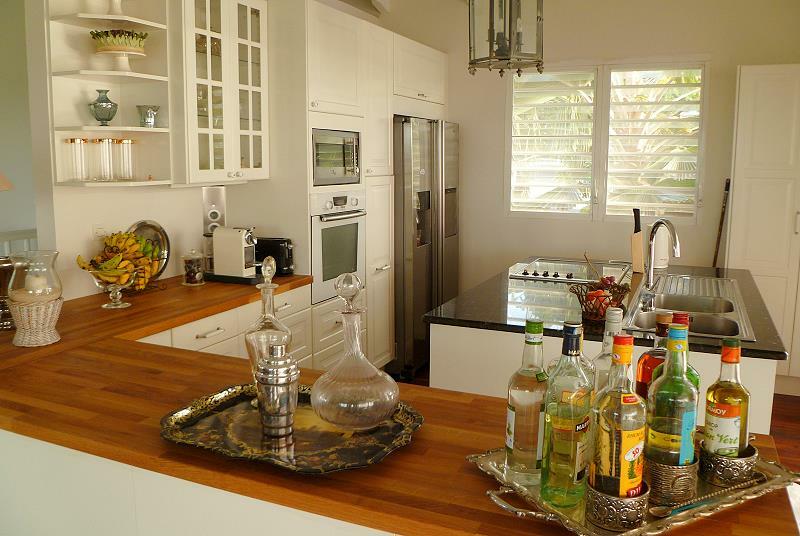 The area is divided into a living area/TV room and a kitchen dinner which benefits from the full view. 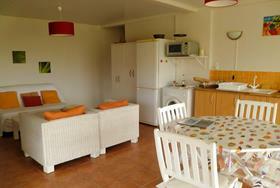 The kitchen is fully equipped with a 4 ring hob, a microwave, fridge and washing machine. 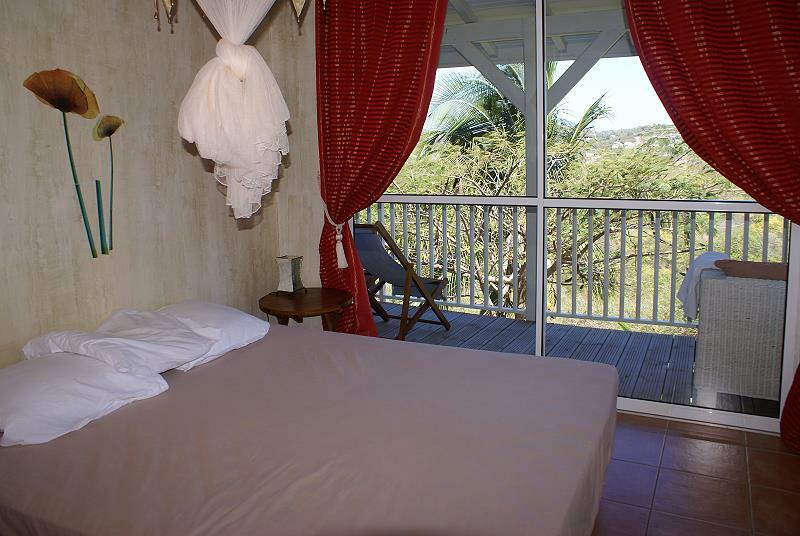 The evening area is divided into two double bedrooms, both air conditioned with en-suites with double sinks and large showers. The whole accommodation can accommodate 12 people and the larger part by its self can accommodate 8. 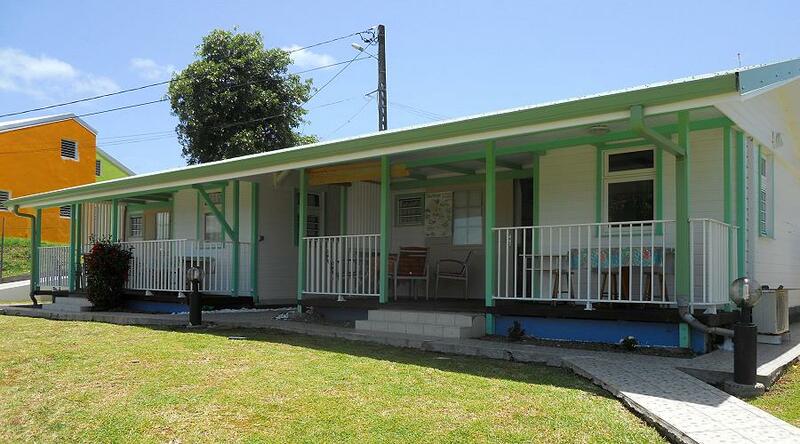 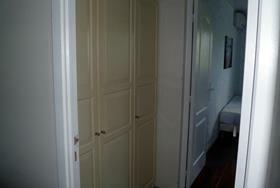 2 Air conditioned double bedrooms both with en-suites. 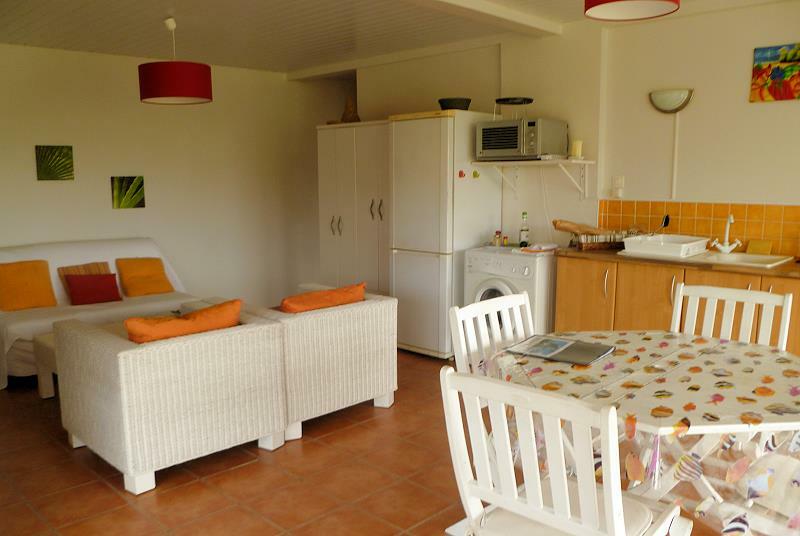 Wi-fi, washing machine, tumble dryer and dishwasher.